I have been perfecting my haggis catching technique over many years and I think I have found the most effective and humane way of catching Haggis. First of all some warnings. Although you don't need a license to catch a haggis it is important that you know the legalities of haggis hunting. There are a couple of species of haggis which are illegal to catch or eat. These are the "Shaggy Lowlands Haggis" and the "Urban Striped Haggis" which are protected by law. Luckily both of these types of haggis have a bitter taste and are therefore not pleasant to eat. It is therefore important that before you start hunting fro haggis you make sure that you can tell the difference between the different species. The Shaggy Lowlands Haggis is distinguished by it's long black fur all over it's body (most haggis have shorter brown or red fur on their body with the exception of some species which have longer hair around the top of their head making them look a bit like a 70's hippy). The Urban Striped Haggis has a white stripe running down it's back a bit like a skunk. Both of these are easy to identify. It is illegal to catch and haggis less then 6 inches long measured from snout to tail. If you do catch a haggis smaller than this you must release it back into the wild. It is illegal to keep haggis as pets or to rear them on a farm. All haggis must therefore be caught in the wild and are therefore free range. If you are offered "battery haggis" do not buy them - the haggis are kept in appalling conditions and are sold on the black market. There is no Haggis Season and therefore haggis can be enjoyed all year round - although most haggis are caught and consumed around the time of Burns Night. Haggis are native to Scotland although they are found in lesser numbers around the world. Their short legs means that they don't travel far. The best haggis are caught in the highlands of Scotland. The picture is of my favourite Haggis Hunting location but I am not going to tell you where that it is as Haggis Hunters keep their best locations a closely guarded secret. Haggis are small timid nocturnal creatures which are rarely seen in the wild. For this reason there are many myths about the haggis. One of the most common myths is that the haggis has different length legs on each side of it's body and that therefore it can only live on hills and go around them in one direction. Anybody who has seen a haggis will know that this is not true. Think of a mountain goat - they have equal sized legs so why should a haggis be any different? The legs of a haggis are of equal size and quite short, which is a crucial factor in catching them. The haggis is not the most intelligent of animals and it has often been compared to a lemming in that it doesn't understand the concept of heights. This is also crucial to the hunting technique. A haggis has a very keen sense of smell and is attracted to the smell of pepper. A haggis can sniff out the smell of pepper from quite a distance in a similar way to the way that pigs can hunt out the smell of truffles. The amount of peppers in the picture will attract a Haggis from around 1/2km depending on which way the wind is blowing. One difference between the pig and that haggis, however, is that the haggis pepper acts like catnip does to cats. They can't get enough of them and they will put themselves in danger to get closer to pepper. They like it so much that the flavour of the pepper comes through when you eat them. Unfortunately the pepper also has a soporific effect on the haggis so if they get into physical contact with pepper (particularly black pepper) they will fall into a sleep like state that can last up to 12 hours. The haggis is attracted to the sound of the sporran and these two creatures often co-exist quite nicely together. The haggis finds the call of a sporran quite irresistible. Haggis are territorial and like to stay in one place unless something really scares them. If they get scared they will flee that place and never return. This is the reason why a haggis is rarely seen in the wild. The haggis has evolved to be distrustful of humans and can smell a human from quite a distance and takes care to avoid them. They can still smell human even up to 48 hours after the human has left the area. This is the reason why the haggis is rarely seen in the wild. My technique for haggis hunting is easy but requires a bit of patience. It can take several days to catch a haggis. You will need to take with you a shovel, a tape measure and some pepper. Black pepper but white pepper will also work, although not quite as well. The other things required you can pick up on the trail. Dab a bit of whisky on yourself like you would some perfume. Don't forget to put a dab on your wrists. Do this before you leave the house. This masks your scent and means that the haggis won't be wary of where you have been. Locate your favourite haggis hunting spot. You will have to work this out for yourself by trial and error as people are naturally secretive about their favourite places and therefore it is impossible to get information about the best places to go haggis hunting. You can see from the picture the sort of place that is good for Haggis Hunting. 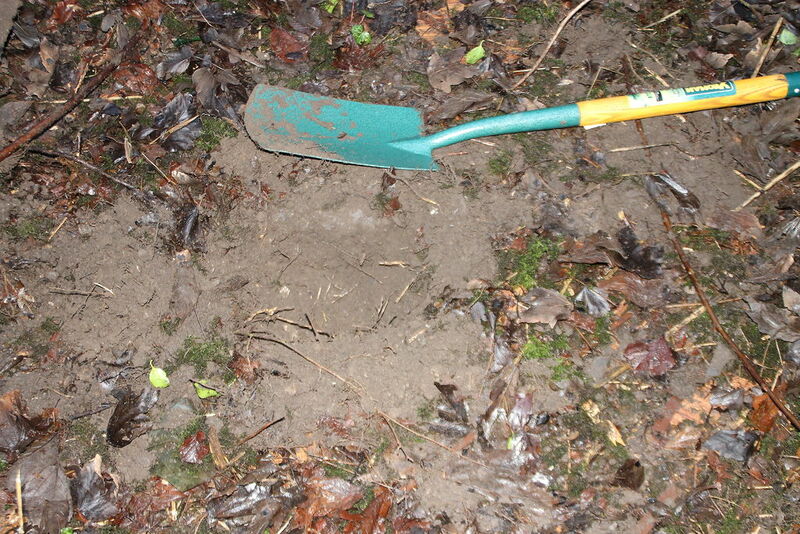 Take your shovel and dig a hole around a foot wide and some 6 inches deep. The haggis has short legs so won't be able to get out of such a shallow hole but having a shallow hole has the advantage that the haggis doesn't hurt or bruise itself when it falls in. Line the bottom of the hole with some leaves to cushion the fall when the haggis falls into the hole. This will avoid the haggis hurting itself or bruising itself when it falls into the hole. Sprinkle some pepper into the hole. This will attract the haggis to that area. If you are using black pepper then on a sprinkle will be enough. If you are using white pepper then a liberal sprinkling will be needed in order to induce the soporific effect on the haggis. Put a few thin sticks across the hole and then cover the hole with a load of leaves. Don't put on too many leaves - you want the haggis to be able to smell the pepper through them. Don't use too many sticks or use too thick a stick as otherwise the haggis will not fall into the trap or may be able to use the sticks as a ladder to climb out. Once the hole is covered up with leaves call out to the haggis by making a sound like a Sporran. Do this for 5 minutes preferably just before the sun goes down. The haggis should just be waking up at that point and the call should attract them to where you are.When they get closer they will start to smell the pepper and will continue towards the hole. If you can't replicate the sound of a sporran then it is OK to take a recording of a sporran and play this instead but the haggis are canny creatures and can sometimes tell the difference. It therefore pays dividends to take some time perfecting your sporran call. Leave the area completely and come back the next morning to see whether you have caught one. If everything has worked well the haggis will have followed the smell of the pepper to the hole. It will then try and get to the pepper and as it gets closer it will start to feel sleepy and fall into the hole. Once in the hole it will have come into close contact with the pepper, be lying a soft bed of leaves and fallen into a stupor. It is likely to be lying on it's back completely asleep and content, completely oblivious of it's surroundings or the fact that it is now trapped. It will then be easy to pick up the haggis without waking it. Don't worry if you aren't able to return to the hole the next day - the haggis has short legs and can't climb well so is likely to be still in the hole, but awake (although slightly groggy). If it is awake this simply makes the next stage a little bit more difficult as it may struggle a bit. You may wish to sprinkle it with a bit of pepper before going on to the next stage in order to make your job easier and keep distress to the haggis at a minimum. Whilst the haggis is in it's stupor measure it from snout to tail. If it is less than 6 inches long then carefully put it in a safe place back in the wild. Similarly if the haggis is one of the protected species you should also release it. It is best to put it back away from the hole otherwise it will try and get back in. If the haggis is longer than 6 inches then congratulations you have just caught your first haggis. 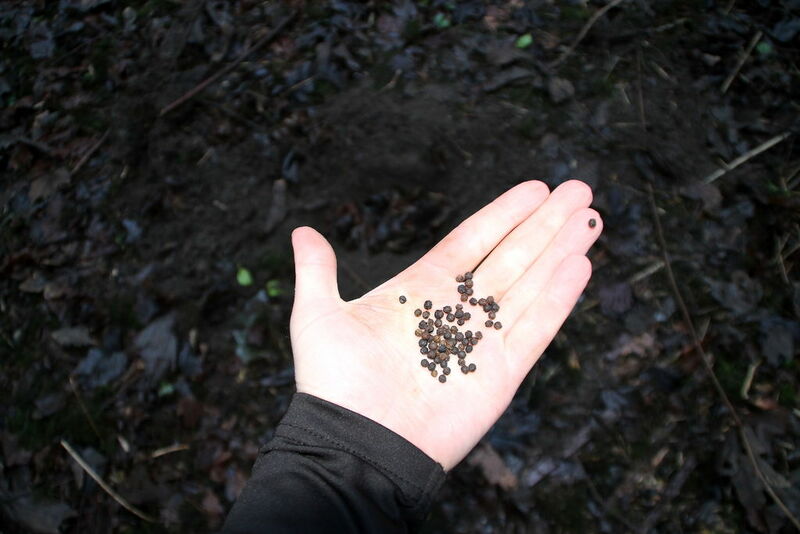 If you haven't caught a haggis that time return to the area just before sunset and sprinkle a bit more pepper into the hole and repeat the call of the sporran before leaving and coming back the next day. Note - Many apologies, I forgot to take photos of the last haggis that I caught in the hole so I have recreated it with one that has been prepared for cooking. 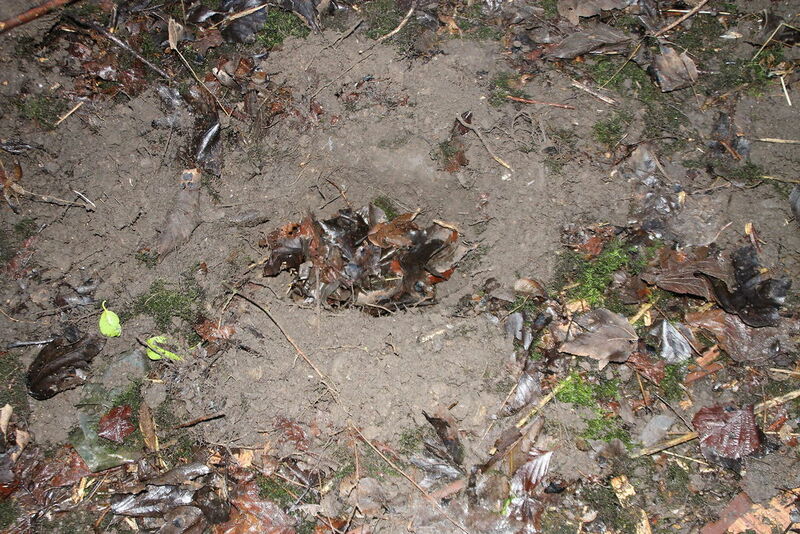 However, you will be able to get an idea as to the size of the hole and how the trap works from the picture. I think Andy means hunting snark, not snipe. Snipe are a mythical creature invented by Lewis Carroll. BTW The best place near me for hunting this sort of thing is Wimbledon Common. As I'm sure you'll understand that I am very concerned not to catch a Womble by mistake. They must be very endangered because you just don't see them around the way you used to. Wonderful! Local wee beasties seem to prefer Pizza as bait though some will be attracted to pork tenderloin. I agree with the Snipe-hunting comment. But you use different materials for the catching of a Snipe. If I recall from my uncle sending out all us cousins one night, you need a paper sack, a stick, a flashlight, some beef (or other type of) jerky as bait, and a whole lot of luck. Snipe are so rare that recipes have been lost to the ages, and descriptions of the beasts vary considerably. If you have some vocal skills, you can save the effort of digging a hole; sit cross-legged, absolutely motionless in the heather and mimic the call of the sporran. With a little practice, you can, quite literally, summon curious haggis right into your lap. If you are in more of a hurry, lay a fresh lettuce leaf over a brick, and sprinkle with ground white pepper. When the haggis sniffs at the lettuce (a favourite snack), the pepper makes them sneeze violently and they stun themselves on the brick. Chickpeas Brother, I am sorry that you feel that I am "a waste of Instructables space". I am also sorry that you feel this way and that you don't see this in the way that it was intended. Feel free to ignore anything else that I write if you wish to. Hey, I'm sorry for my previous comment. I realize that you're just joking, and I'll stick to the "be nice" policy from now on. I apprreciate that you did put a lot of work into this, by the way. I've heard that the haggis is also attracted to the hideous skirling wail of the bagpipe, but care must be taken as the playing of bagpipes is illegal in many civilized countries. As an aside, you can always tell those people who have combined Chinese new year with the Burn's night celebrations by the sore red rings around their wrists. LOL. I like those "facts". Be careful of the stones you throw bro. LOL Thanks! Always wondered how one went about hunting haggis. Never heard a Sporran but it doesn't matter. I don't live in Scotland. *sigh* ;) Thanks for a Saturday morning chuckle. This is great, could you follow it up with how to track Neeps and Tatties please? LOL. I like that idea. Is there a special technique for that? The head is also too small to mount as a hunting trophy. I agree though - most haggis is not the real thing.